Found a few holes in the top of the chassis but noting major, certainly easy to patch. Fuel tank is aluminium, I would guess the capacity is lower than the steel or plastic equivalent but since I'm fitting LPG this is no biggie to me, might help keep the weight down! Probably not going to be much of an update for a few weeks so that's it's resting place for the time being. Wow quite a job you got on your hands. Bet you had fun finding all the extra rust spots. Makes me feel relived that mine is in good condition as i dont think i could take one apart. Well, I can purchase all the panels to rebuild the body shell so not too much of an issue there. 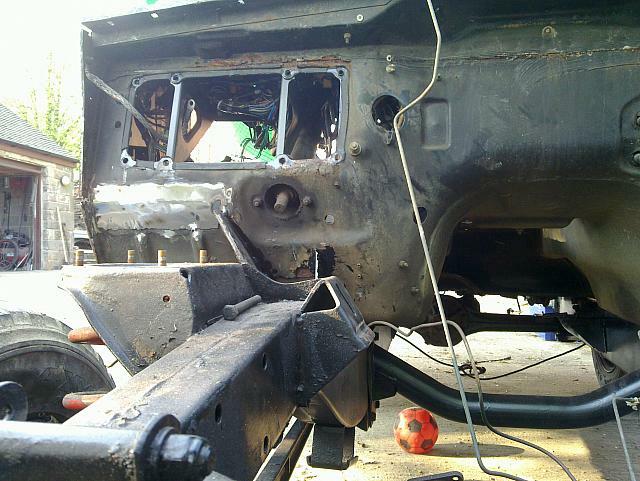 Next step is to get a good chassis to work from before re-fitting the body and welding in all the repair panels! A friend of mine was asking where you can buy the repair panels from? I actually ordered the panels tonight for the shell, they should be here for the weekend from a company called YRM. 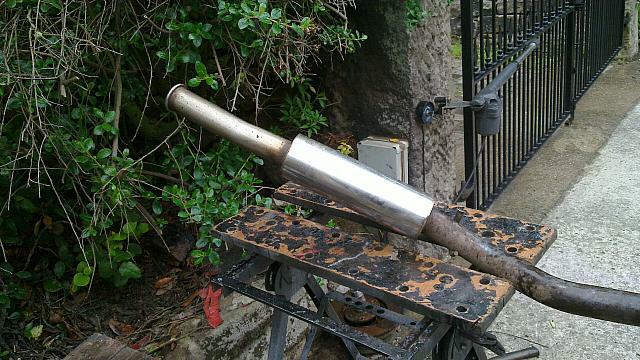 I managed to remove the fuel tank (wow, it's light), rear exhaust section and tow bar tonight. Halfway through the weekend now and here are a few photos from this weekends progress. Friday night involved cleaning and painting the front axle and a few other bits and fitting polybushes to the parts that required them. 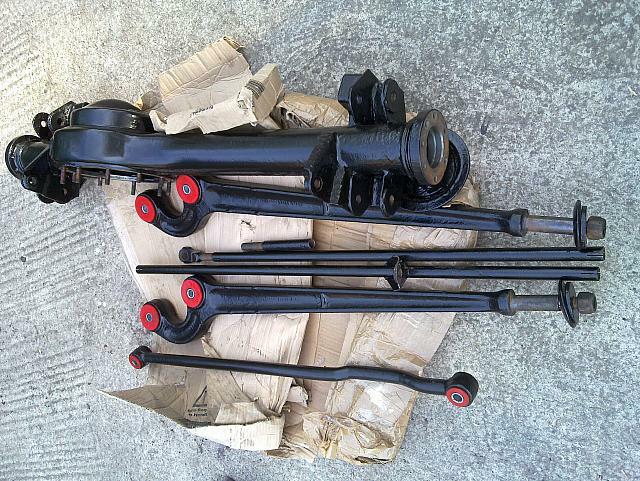 Today the rear axle was stripped down, cleaned and painted. 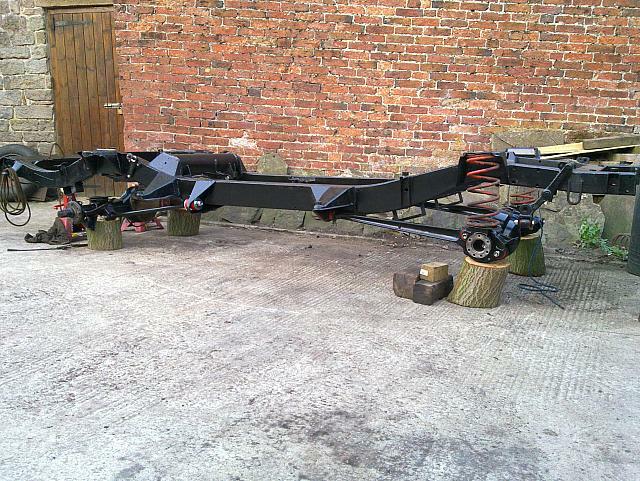 The remaining parts were cleaned off and the axles were slowly assembled and mounted on the chassis. Body was placed back onto the chassis so concentration could turn back to metal work rather than mechanics (the mechanics are the easy bit)! 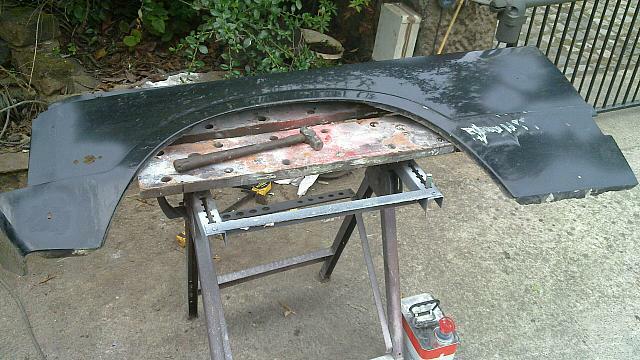 Front wings removed, holes uncovered and cleaned up and patched. 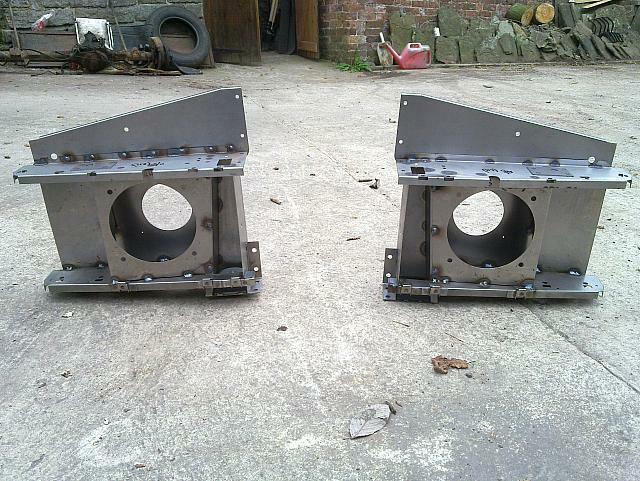 Body mounts were fabricated and welded on (hopefully in the right place). I've been a bit shy of the updated for the past few weeks, my attention had been focused elsewhere, sorry! I took advantage of the bank holiday weekends to press on with the work, amongst other things. These were then welded together in what I hope is the right shape and offered back up to the car, the floor was cut back till all the rot was gone. This was fairly easy to fit as both the A post and B post were pretty far gone so were removed with the sill allowing me to slide it into place and bolt it back down onto new mountings before being welded into place. Attention was then turned to the sill on the other side, while the B-post on this side was mostly still there the A post had vanished further up the bulkhead so reconstruction was going to be a PITA. The supplied A-post panels only provided the outer-skin and not the internal hinge mounts, tubes etc. 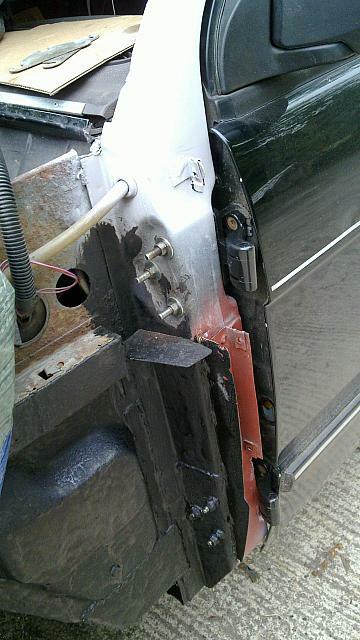 Replacement sill was welded up and wrestled into place, B post welded on and A-post repairs were started. 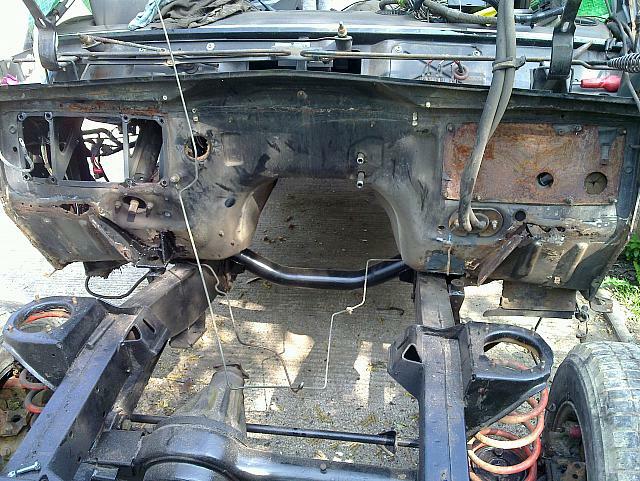 The parts of the footwell that could be repaired were done so, once all the rot has been removed from the top the body is coming back off and being turned onto it's side so welding repairs can be completed underneath and it can all be cleaned up. So, I've purchased 2x large sheets of 1.2mm steel (apparently it doesn't interface well with my discovery headlining! 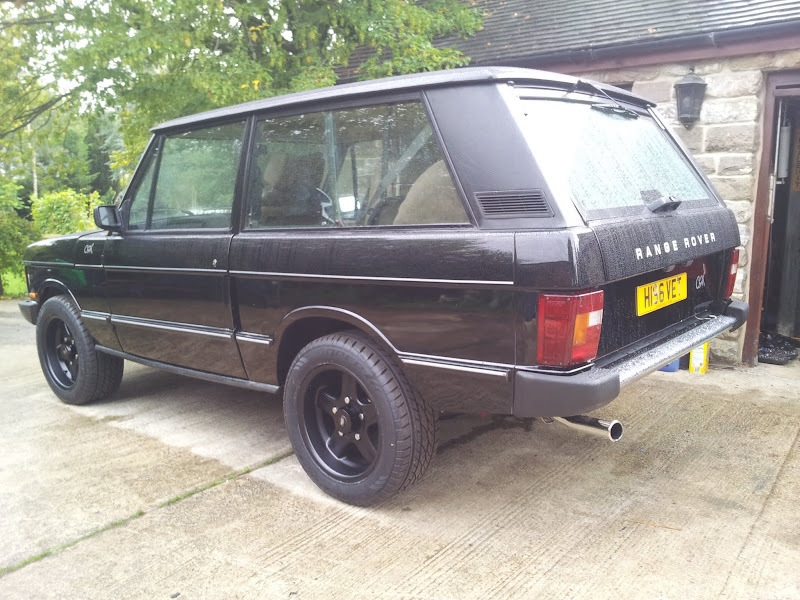 ), 2x discovery floor skirts from YRM and a boot floor for a discovery from Paddock should be getting collected this week ready to start next weekend! Moving back from the B posts it was time to look at the side panels, wheel arches, rear X-member and rear floor. As previously mentioned I was unable to find the repair sections for the back end so set about cutting out the rot and letting new metal in. The replacement steel is a lot thicker so should add some more strength. It's not the prettiest looking job but at the end of the day it's hidden. The panels I got from YRM were cut and shaped. I had to fashion a flange for the end closest to the tailgate in the style of the old floor. 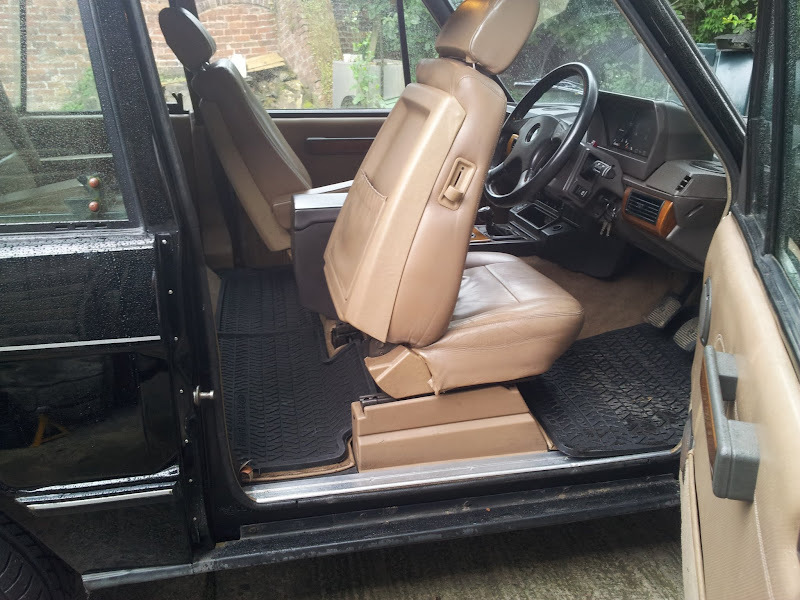 The Discovery rear floor is shorter than the Range Rover one, I could have bought an ally one but am fairly sure I can make this fit with the addition of some strapping across the rear of the floor. I got 4x crossmembers with the new floor but am convinced I only need 3, the two angled ones that sit on the chassis stand-offs and one more towards the back, the Disco ones seem to have bolts welded to them though? There's a lot of dressing to do, I am aware it looks a little patchwork but it's very strong now and at the end of the day is hidden by trim and the wings. The engine was rebuilt with new shells/cam/followers/timing chain/seals/water pump/head gaskets (inc bolts) and pieced back together. Flywheel and spigot bush added. (I had ordered a spigot bush earlier in the week but, despite ordering a LOT of rover v8 parts the supplier decided to send a bush for a 200/300/TD5?!). A trip to paddocks sorted that out. The gearbox (LT77S) was given a wash down and the new clutch components fitted. I drove the car about 150 miles before strip down and the gearbox itself was spot on so didn't feel the need to do anything with this, it's an easy thing to drop out if needs be at a later date. This was dropped in to the chassis and the engine followed suit. Props/steering box/exhaust/fuel lines and then a heavy coat of waxoyl followed. Axle/t-box/g-box fluids were all refreshed and then the body was dropped back for what I hope to be the last time. That's how she was left Saturday night, Sunday the rear ARB was fitted, all the body mounts were pulled down tight and cleaning of the brake calipers began. I seam-sealed the insides further and managed to empty a can of acid-etch primer over the zinced parts (and some non-zinced ones too). The engine bay was further tidied and seam-sealed in places. I had a trip out to a RRC breakers, where I purchased enough bits to fill the back of my Discovery up! Amongst those parts was a sequential LPG system (AG/SGI) so that's a further problem solved. 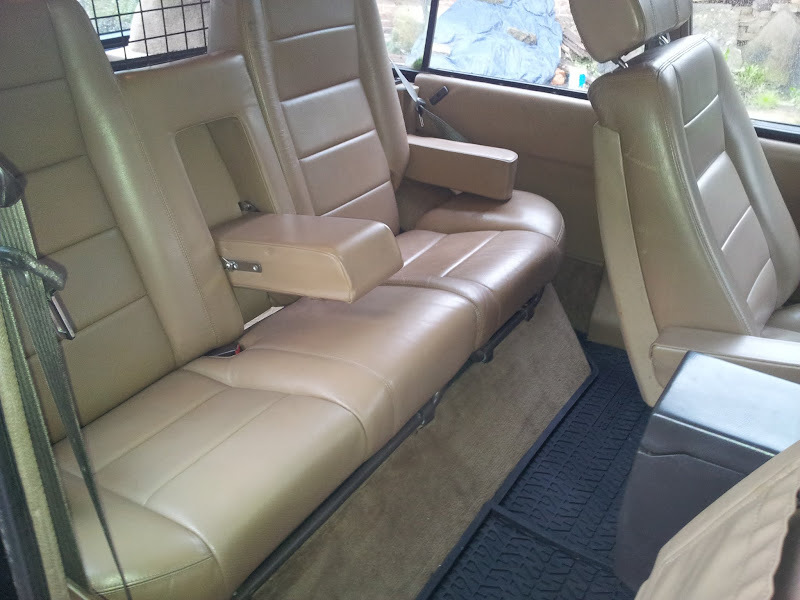 Also picked up some carpets in better condition, a filler neck, air-con rad and a few other bits and bobs. be smothered in waxoyl once the painting has been completed too. 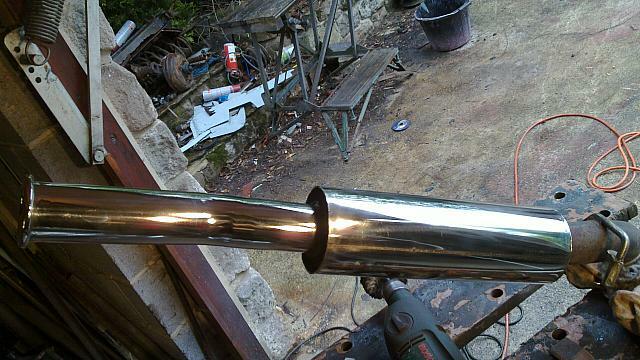 the rear wings are with a mate who's welding up the birmabright, I should get them back this week. Sunroof has been stripped apart and is ready for painting. I've cleaned up the SGI manifold and have the parts ready to build the top end of the engine. Brakes plumbed and wired, apart from the ABS Stop Light Switch. The dog knocked the pedal box over in the garage and snapped it off already ordered a new one from Land Rover. Tried a pattern part one years ago and it was useless. The clutch was plumbed with a new flexi and AP/Lockheed master cylinder. A-posts were painted and the windscreen fitted. 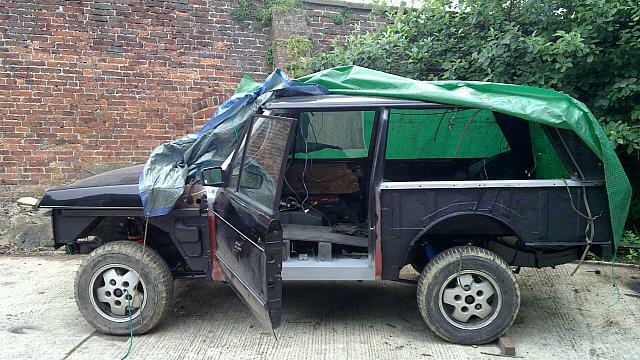 Roof painted and fitted along with replacement rear wiper motor. New heater resistor pack fitted. 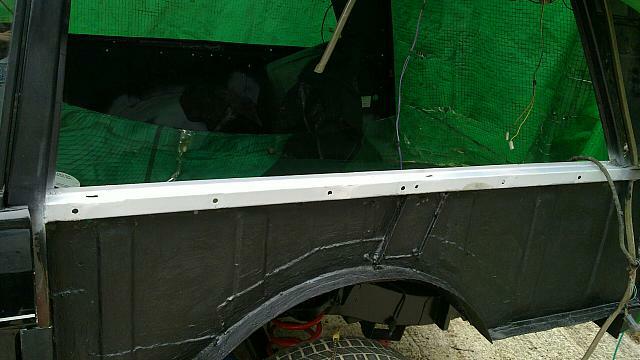 Bottom tailgate painted and fitted. Top tailgate fitted loosely to keep weather out. I have a alluminium one and a genuine one, both could be made to very good condition with a little work but I'm undecided on which to fit. I'm probably going to fit the genuine one once I have made it work with central locking unless anyone can think of a good reason why not? 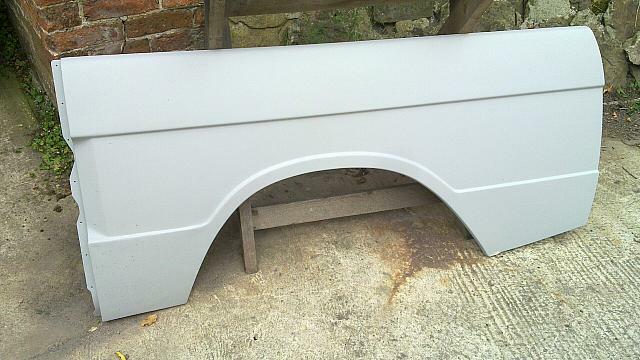 The rear of the car inside has been painted and the rear windows were fitted. I also fitted the inlet manifold that came with the AG SGi LPG kit I bought, it wasn't till I'd torqued down the last bolt when the realisation that the inlet was for a multi-belt engine and not a serpentine as I fitted. That was a little annoying. I now need to find a tap and tapping drill for the LPG injectors, once I work out what the thread actually is. 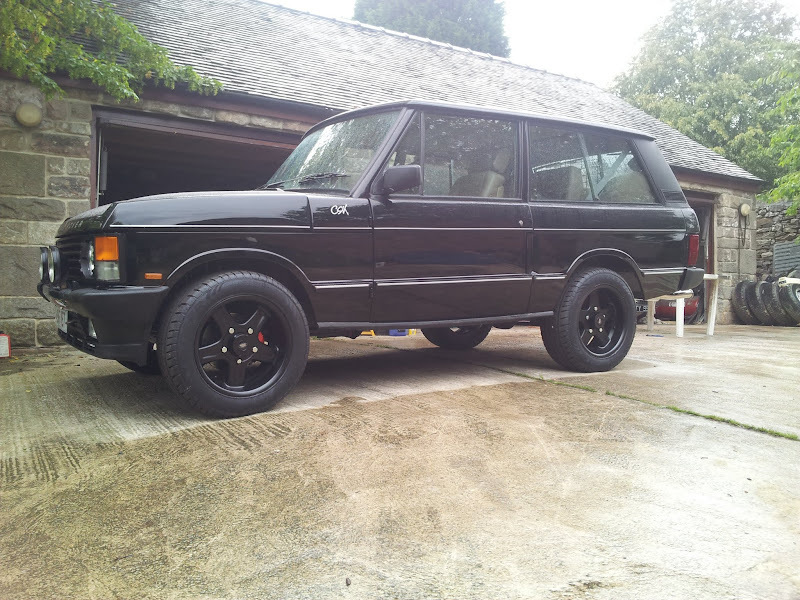 Appologies for the photos being a bit sparse, been a fairly intense and tiring week but it's starting to look more like a Range Rover. Hope you like. Like very much and watching with much interest! Here we go with an update again. The focus of the past few weeks has pretty much been bodywork. 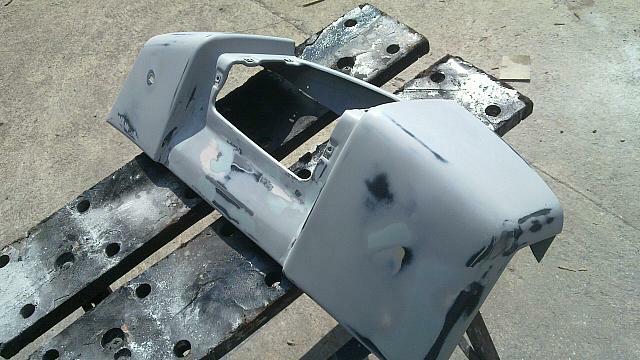 The rear quarter panels had patches welded in and bashed back into shape. All sections had acid-etch sprayed on, copious amounts of filler thrown at them before a few layers of high-build. They were all then sprayed with the Beluga Black celly top coat. Fired the engine up, starts and runs fine. Bled the clutch this morning and drove it up and onto the ramps! Felt good to have her move under her own steam. Fitted centre console, handbrake, rebuilt most of the dashboard and put in the drivers seat..
Side skirts are on and I've been creating the ties to keep the wings in place. 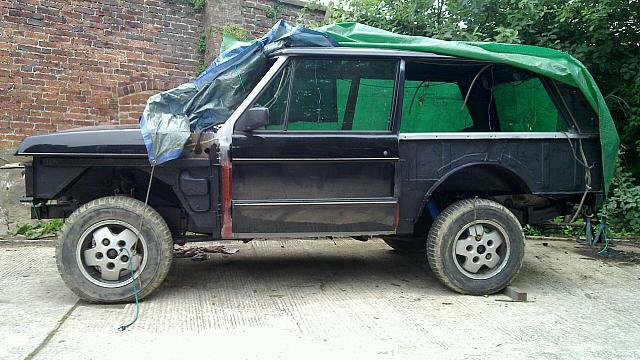 Hope to finish off underneath tomorrow and get the new wheels fitted (looking forward to that bit). bought some wood to remake the bottom doorcards and need to adjust the top ones so they sit flush on the doors properly. Whilst they're apart I'm going to fit speakers and do the rest of the audio kit. 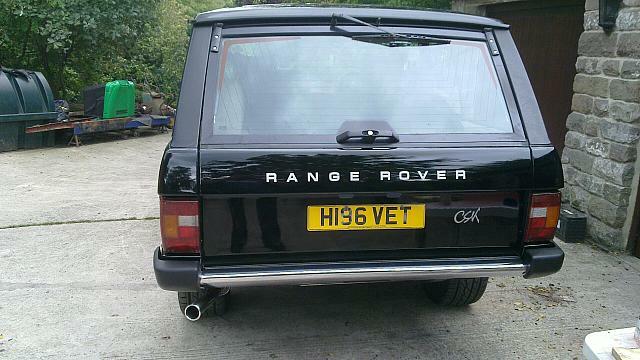 Also fitted the CSK and Range Rover decals, makes a big difference. Might have to get a set of mudflaps though. She's now been in use for over a month, have the LPG kit fitted also along with some rear mudflaps. Anyone still reading this forum? I am! sorry i do keep meaning to say what thanks for all the pics you posted, threads like this make the forum. Me too!! Please keep posting, awesome job! 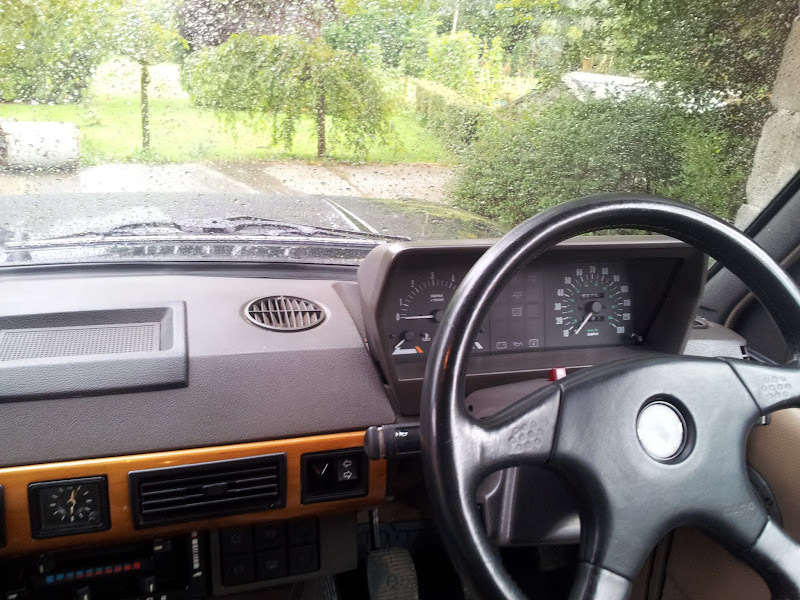 I started mid October doing same job on my own 93 200tdi 2 doors "normal" Range. So i see this pictures live every day. I used this car daily last 4 years and drove it from 260000km to 360000km and now it was really necessary to give fresh metal to the car. I found your restauration history some days ago via a link of a member from blacklandyforum in germany. Really every cm rust is in detail at same places as in my car, even the big hole on the right side of fuel tank inspection gate. 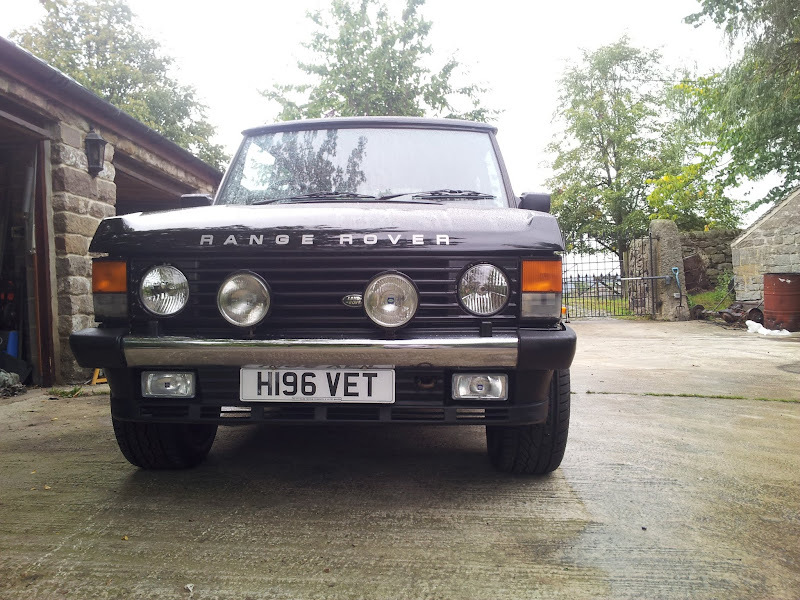 I will replace this with an aluminium one from a 87 Range, not original 93 but i like the possibility to have really good reach to the top of the chassis in the back with Boge, fuel tank mounts etc. 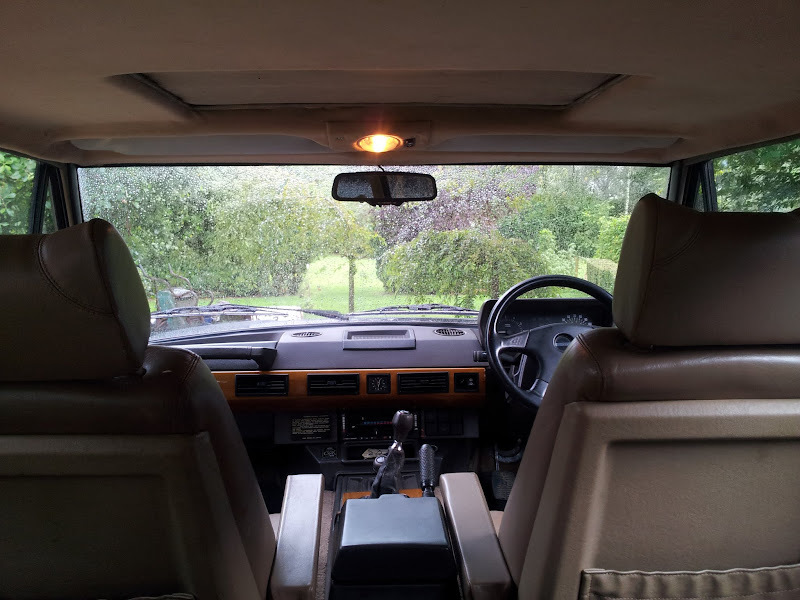 Without seeing your photos before i nearly found on many places the same solutions as you, especially with the sills, A- and B- Posts and i cutted and welded the rear sidewalls nearly in the same way as you. The inner front wings i replaced 4 years ago directly after buying the car. I used that time second hand wings from a 89 disco. The front sections i only fixed with screws and sikaflex, al parts are rust prevented from "inside" between the parts and nothing is burned away as it happens, if i am welding. These frontwings are still in very good condition as i can see now. Thanks to Branthokorux rust prevention. I really can feel with you what a job you have done, how much dust you have "eaten". And i hope some more people will do the same, some more of this beautiful cars will survive and seen on the roads, not only dry stored in big halls! Best Regards from germany and i wish you a lot of fun without repairs with your beautyful CSK Range! Can i have my car back please?! Great job - not sure about the wheels - very Rasta! Axel, any links to a thread on your rebuild? I've replaced the distributor with a new one, a new set of 10mm HT leads and an uprated coil. This has made a big difference to how she performs. I had a friend take a few photos out-and-about so thought I would post them here too, the suspension seems to have settled a bit. These photos were pre-LPG kit, the whole thing has now also been coated in waxoyl inside and out to try and slow down the rusting process. > Axel, any links to a thread on your rebuild? > David, the wheels are very much a love/hate thing. > has made a big difference to how she performs. > down the rusting process. i will post some pictures via my facebok account over some days. last days i was busy with bringing the car to an other place to finish it there. I give you a sign if the pictures are online. Any progress or photos yet? I keep checking back to see if you're posted a link!